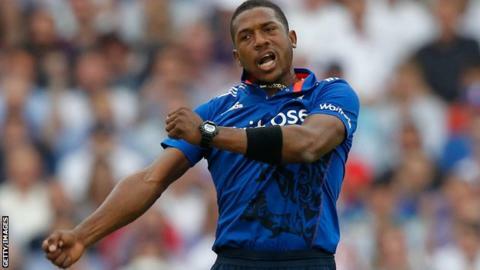 England fast bowler Chris Jordan has been included in Sussex's squad for their T20 Blast quarter-final against Northants on Wednesday. The 26-year-old has not played since suffering a side strain in the one-day series against New Zealand in June. Sri Lanka batsman Mahela Jayawardene, who scored 223 runs for the Sharks at the start of the group stage, also returns to the squad. Sussex, who won the tournament in 2009, last reached the semi-finals in 2012.